Worship services started in the basement of the church building on November 15th, 1964 and moved to the Sanctuary for Christmas services that year. The first baptism was preformed by our first pastor, Rev. Myron Brinton, on January 3rd, 1965 when he baptised 15 people. The need for more space was recognized a few years later. In November 1971, the Christian Education Centre was opened, providing additional classrooms as well as offices and a gymnasium. Then, in 1976, part of the Sunday School and Junior Worship was moved to Forest Hills School because of lack of space in the church building. It took a few years but, eventually, the church building grew again in 1983 when the sanctuary was expanded and more classroom space was built. Our greatest number of baptisms took place in 1987 and in 2005. In those years, we had 25 people professing faith in the waters of baptism. The church opened its arms to care for children in 2002 when it opened Living Waters Child Development Centre, the non-profit, licensed child day care facility. The day care now operates at capacity and provides care to 40 wonderful little children who learn each day that they are children of God and, as such, deserve to be valued and loved. 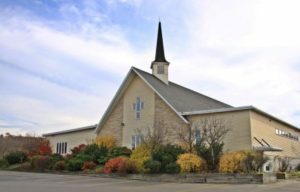 Forest Hills Baptist Church is also happy to share our facilities and work together with the Saint John Global Mission Church, which started ministry to Koreans in 2009.